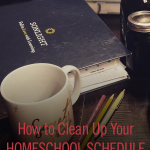 I read this article and wanted to share it with you: How to Clean Up Your Homeschool Schedule Like You Tidy a Room https://blog.sonlight.com/clean-up-homeschool.html. I can clean a child’s room, spotless, in under 10 minutes—even the biggest disaster of a room. All it takes is a broom and some determination. The trouble with cleaning a messy room isn’t the stuff in the room—it's the overwhelm. It is too much effort for a child, or for me, to start by sorting every item in the room. So where do I begin when clutter makes it difficult to pick out the best things? I start with a clean room. This is my method, and it works everytime. I take the broom and cheerfully sweep everything that isn’t nailed to the floor out into the hallway. I try to smile and not rant even when the broom gets stuck under the bed on last year’s swim suit, an abundance of forgotten toys, and piles of laundry. I continue sweeping until the room is shiny and I am trapped by a nearly impassible doorway. 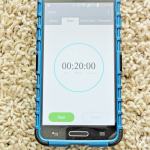 Then I tell my sweet, messy, baby-child that I will set a timer for 20 minutes during which she chooses what items from the hall to put away neatly in her room. Whatever she no longer wants or needs and leaves in the hall, I will bag up for the donation bin or trash cans. Has your schedule ever gotten so busy you don’t remember the last meal you all savored together or the last family game night? 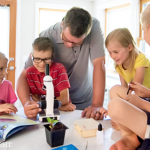 Have the fun parts of homeschooling—the science experiments, the field trips, and the Read-Alouds—gotten pushed to the side? Are you neglecting self-care, prodding yourself to exhaustion and anger? 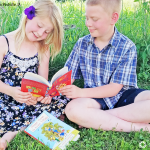 Are your kids over-scheduled and irritable from lack of downtime? 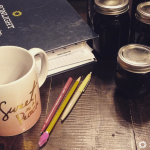 Do you have no margin in your day? Do you feel behind and hurried? Start with a clean planner or calendar. Write down everything you do and the time it takes to do it plus buffer time. Don’t start by putting on all of the obligations you hate. Leave those in the hall for last. Begin with the things give the most value to your family and meet the goals for your children. Put these essentials back on the calendar first. Remember to add in time for relaxation and hobbies that restore your spirit. Imagine picking up each event and assessing it just like you would tidy a child's bedroom. Should it go back on the calendar? Or should it go to the thrift store, so to speak, so someone else has a turn leading the event, driving for the sport, or organizing the field trip? Are you getting bogged down in a complicated, time consuming curriculum when something simple would work better? The truth is that our family dynamic changes. Your school needs change. 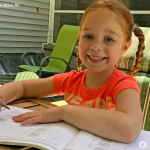 Just like last year's swimsuits, some of the things on our homeschool schedules have to go. The result is a fresh, clean space and a clear mind. After we clean a bedroom, the children invariably want to play in it again because it's comfortable again. The sense of overwhelm is gone. 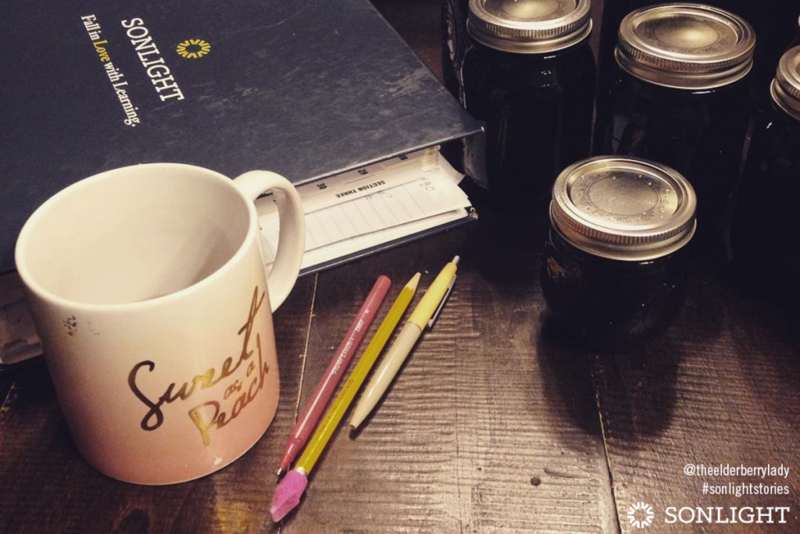 Once you pare down your schedule, you get to enjoy your homeschool again and savor moments as a family together. Sometimes it takes a clean sweep to start over again. 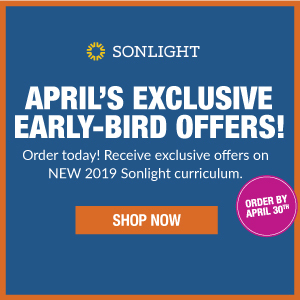 Is it time for you to switch to Sonlight? Pick a time to talk to an Advisor about switching. 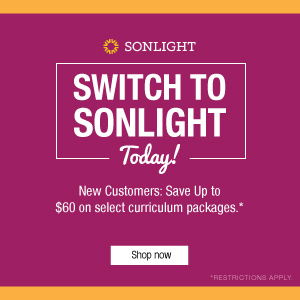 You can get $50 towards your new program when you switch to Sonlight*. 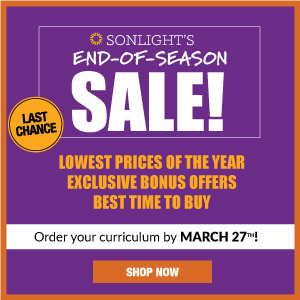 *Switch discount valid for $30 off a History / Bible / Literature package, $50 off an All-Subjects Package or $20 off any Sonlight Science or Language Arts package. Discount cannot be combined with any other offer. Valid one-time use. 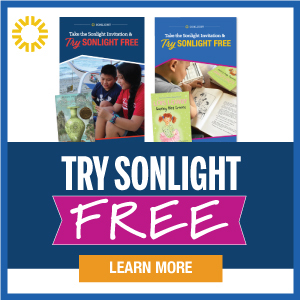 Valid for new Sonlight customers only. Not valid on previously processed orders or orders currently in process. Offer valid October 18, 2017 through January 31, 2018.